Headed to a foreign country? Hang onto your wallet. Not because of pickpockets, but because Internet access can cost you an arm and a leg--especially if you pay your carrier's global roaming rates for your smartphone or tablet. The smarter, cheaper move: rent a mobile hotspot. That way you'll pay a reasonable flat rate for Internet access you can share. The best deal I've found is from Xcom Global, which is currently offering a Novatel Wireless MiFi rental for $14.95 per day. That includes unlimited Internet access in a whopping 195 countries. That's an outright bargain, especially when you consider that it's not uncommon to spend $10 per day--or more--for Wi-Fi connectivity in a U.S. hotel. 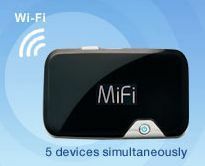 Here you're getting a portable Wi-Fi hotspot that can connect up to five devices simultaneously (laptop, tablet, smartphone, etc. ), one that works internationally. 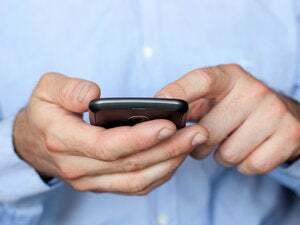 Furthermore, you can leverage that unlimited access to make cheap or free phone calls from your smartphone, rather than paying your carrier's exorbitant international rates. Just use a voice-over-IP app like Google Voice, Skype, or Truphone. To get your MiFi, simply fill out Xcom's online order form, specifying which days you'll be departing from and returning to the U.S. The company bills you for each day the MiFi is in your possession (and charges a rather steep $29.90 for shipping). It's not uncommon for travelers to unwittingly rack up massive connectivity bills in foreign countries, usually because they didn't know the rates were so high. Comparatively speaking, Xcom's MiFi is a drop in the bucket. Got a better solution for getting cheap Internet abroad? Let's hear about it in the comments!